Palakkad is called the gateway to Kerala, for it is here that a wedge in the Western Ghats allows other states to access Kerala. 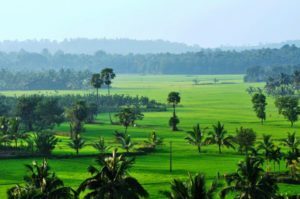 Bestowed with brilliant beauty – the green paddy field, thick forests, palm trees and meandering rivers, Palakkad is a rich source of natural wealth. It is also a very populous city, known for the perfect blend of urbanization and green spaces. Presently it is luring top real estate players in Kerala to this land of palms. Here are some of the factors that make Palakkad the ideal choice for settling down in Kerala. > Affordability: With rocketing land prices, getting a property in an urban setting without burning a hole in your pocket is a luxury indeed. Palakkad is an ideal place to get the best of both worlds, modernity and natural surroundings, at comparatively very reasonable prices. > Resale value: The real estate boom has just started in Palakkad, and the coming years will see a dramatic rise in property value. Certainly a wise investment choice especially if buying property from a reputed builder. >Proximity to amenities: Palakkad is a centre of development, both in technology and economical progress. All luxury amenities one wishes for are available in within the city limits. >Green Environment: A most important consideration of most property seekers is the availability of pure water, fresh air and green environs. Everyone is increasingly aware of the significance of nature in bringing a sense of balance and harmony into our lives. >Employment opportunities: The Kanjikode – Pudussery – Walayar industrial belt, the second largest in Kerala after Kochi,promises immense opportunities, which is now augmented by the proposal to set up a railway coach factory in Kanjikode. The first IIT in Kerala is at Palakkad. Bharat Earth Movers Limited (BEML) is a major economy-driving force here. IT companies are also cropping up in a big way in Palakkad, with considerable impetus derived from state government. 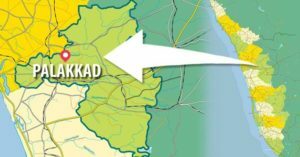 >Growth factors: High literacy rate, abundant water availability, adequate power supply, peaceful political climate and highest road density, all make Palakkad a wise choice for economic investments.